Level 8 Craftling: Holiday Break! Kobold and Gnome, helping me play board games from the futon next to the gaming table. Proof that Kobold had stripes when he was a kitten! In bright sunlight or with the camera flash on, he had subtle brown stripes. Alas, he has grown out of them and now appears to be solid black. 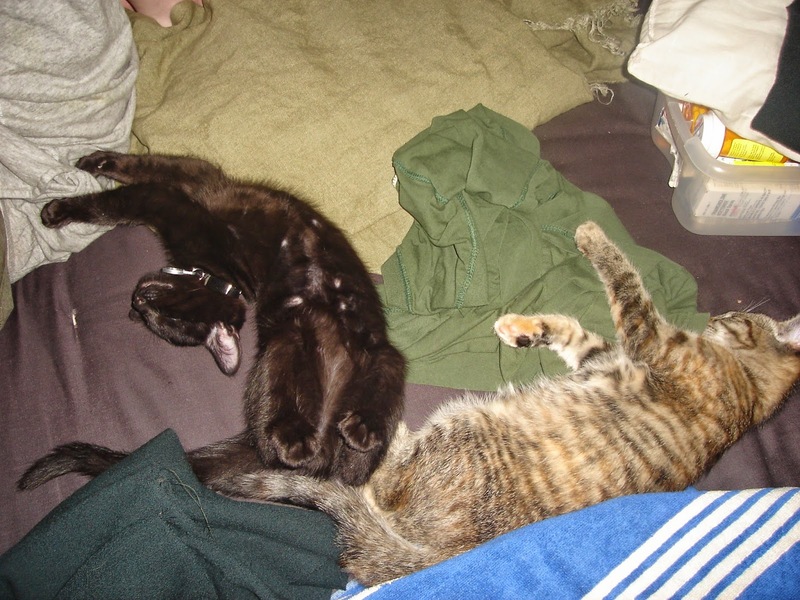 The kids as wee kittens, conked out after a hard day of helping me sew.